Sonntag ein Geschenk des Himmels. Sunday, a gift from heaven. 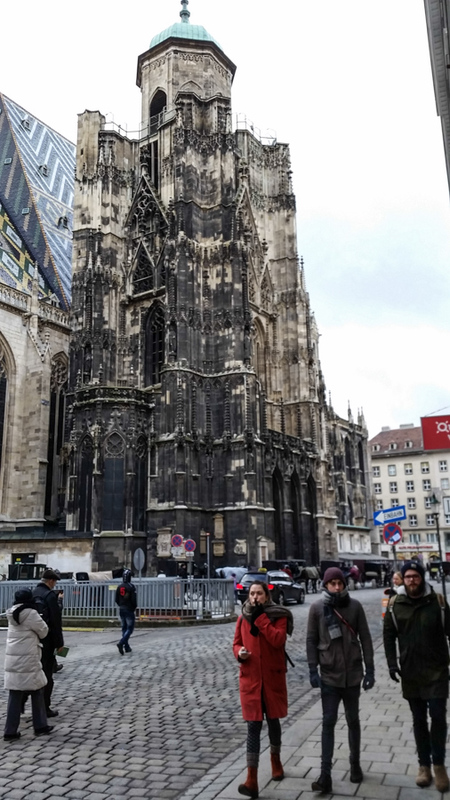 This Sunday morning I began my pilgrimage to Stephansdom which is the Cathedral church of Vienna. 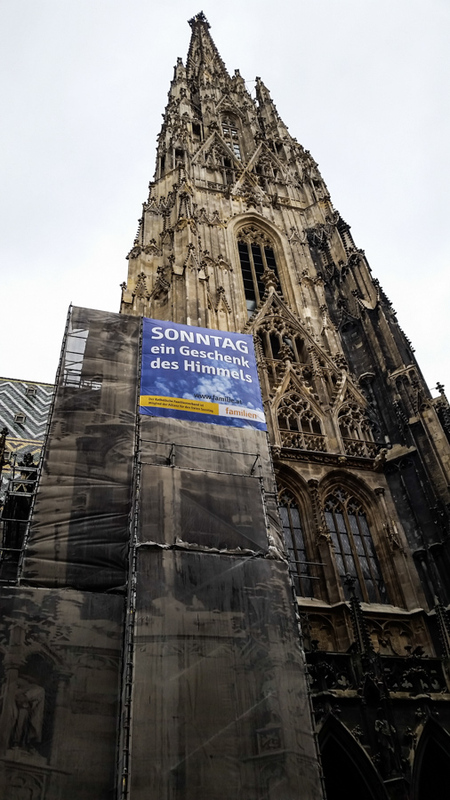 As I approached the Dom I saw a large blue sign on the large south tower which read in German: “Sunday, a gift from heaven.” And this Sunday was truly a gift from heaven. 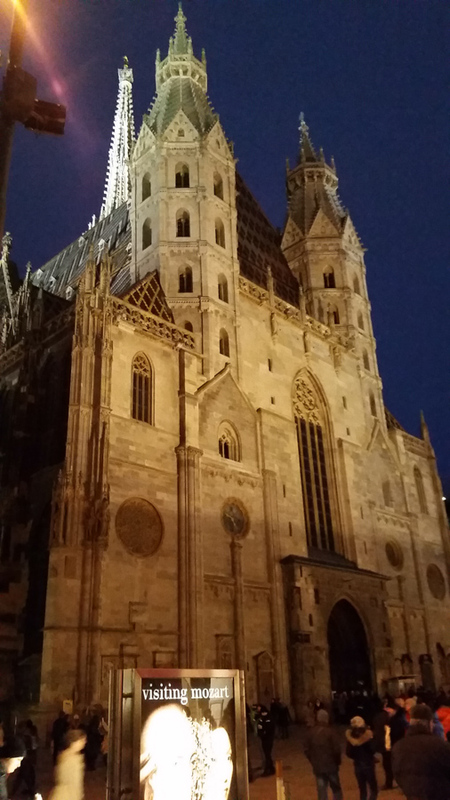 St. Stephen’s Cathedral, Vienna, Stephansdom , is a gem of Gothic architecture, a defining aspect of the cityscape. 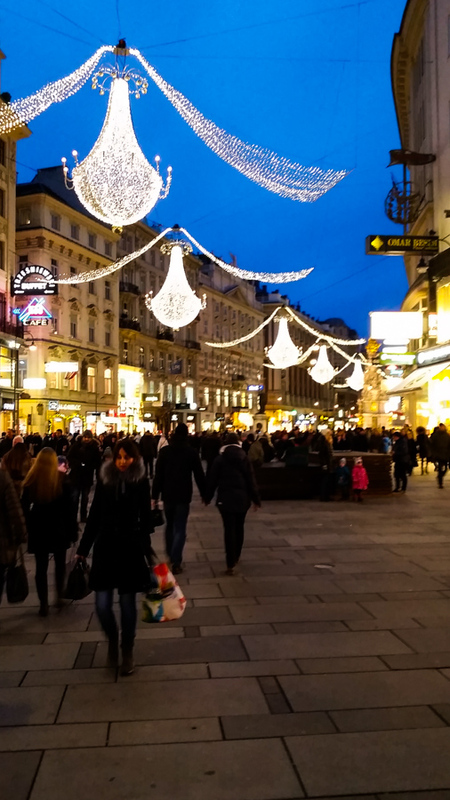 (Man pictures follow: click a picture for a larger version). Before Mass I had the opportunity of walking around the cathedral which stands at the heart of the old city. 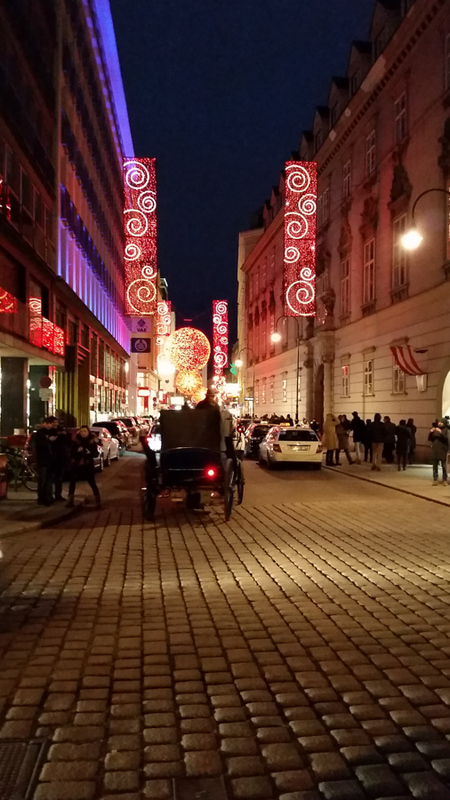 Today it is impossible to imagine the damage it sustained in the bombings of the historical center of Vienna. 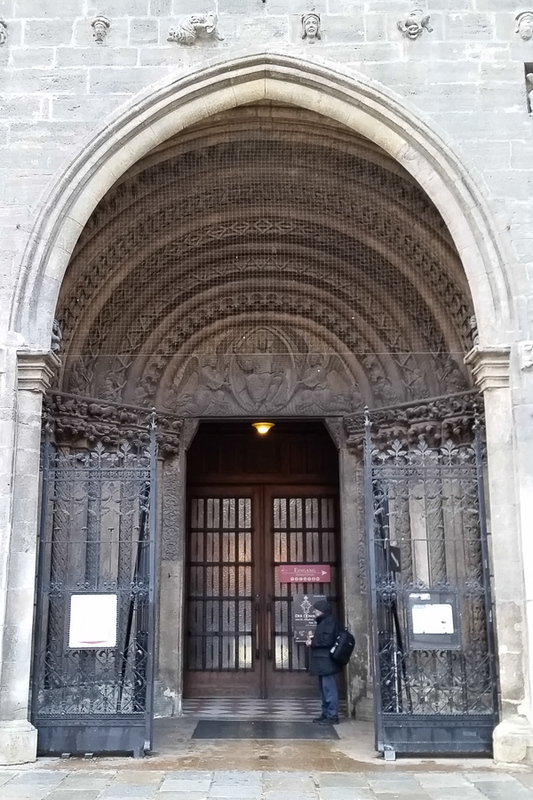 Although the Dom was consecrated between 1144 and 1147, all that remains of the Romanesque church is the facade. Notice Christ enthroned between two angels. The polygonal towers as known as the Heathen Towers flank the Romanesque facade. 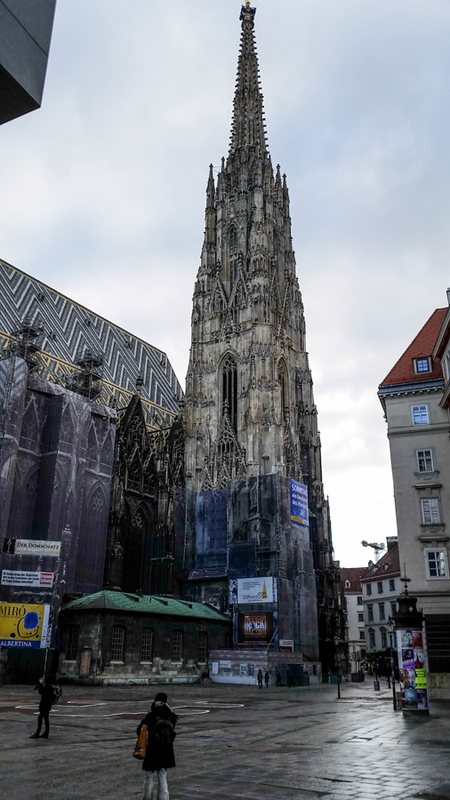 The South Tower is a landmark of Vienna. 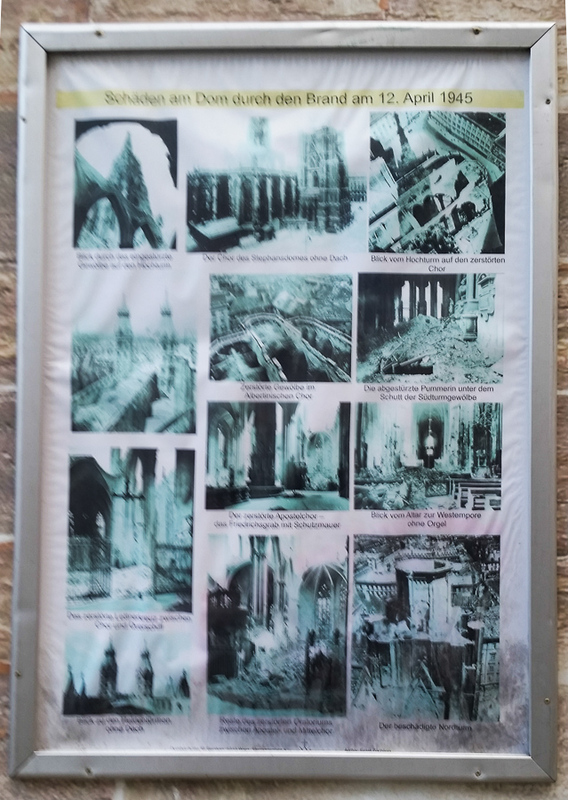 It is called Steffl or “little Stephen.” As a result of the fire that raged through the building the night of the bombings of 11 April 1945 it threatened to collapse but miraculously resisted as the roof collapsed. The bell in the south tower called the Pummerin, the Boomer was 20 tons and cast in 1711 from Turkish cannons taken in 1683, but crashed from the tower during the bombing of the historic center. 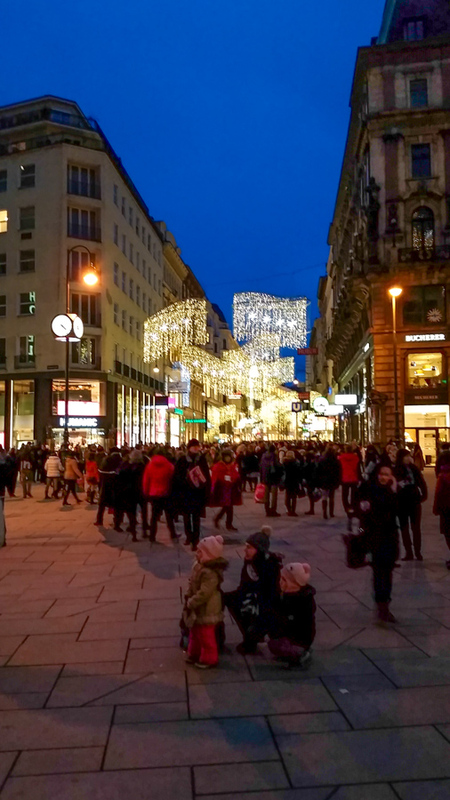 But the Austrians cast a new bell as part of the restoration after the bombings. 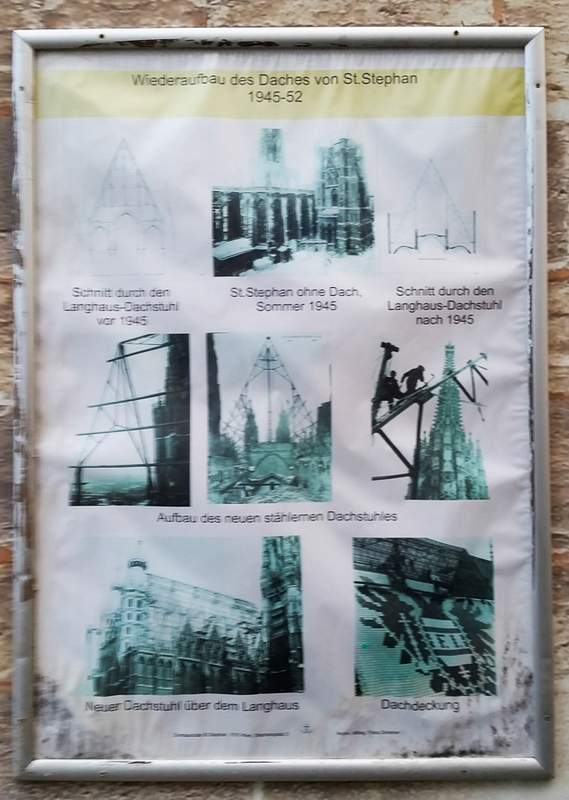 The second tower, begun in 1450, was never completed. With the Islamic threat with the Turkish aggression they turned their efforts to defense. 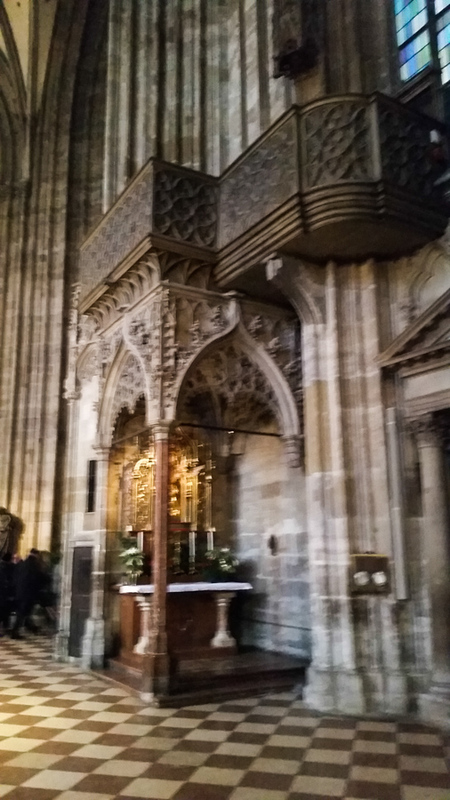 This is the pulpit from which Saint John Capistrano preached in favor of a crusade in 1451 against Turkish aggression. 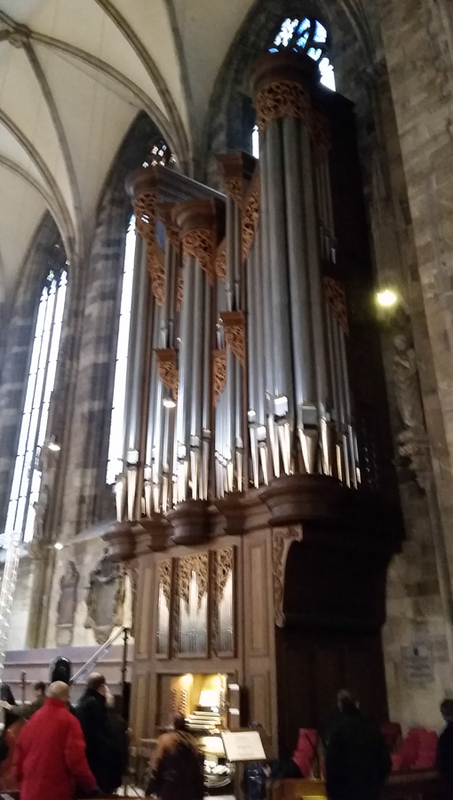 The apse of the Dom. High Mass was beautiful. When I walked in about 15 minutes before Mass the Dom was already filled and during Mass I turned around and was delighted at the attendance. 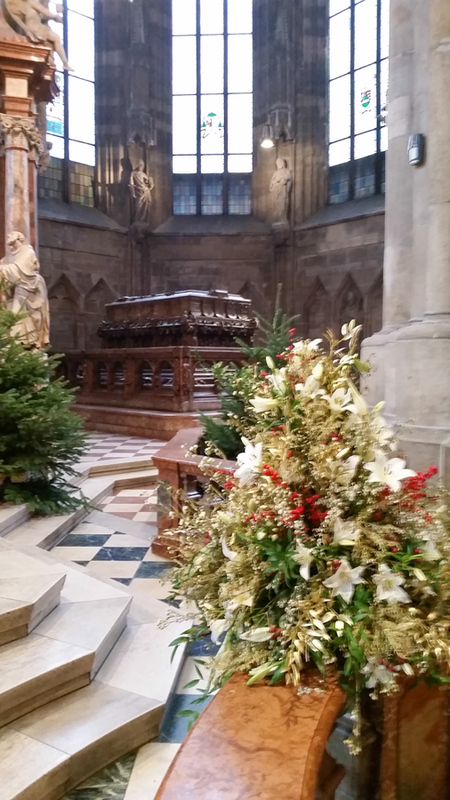 The choir sang a setting of the ordinary by Rheinberger (1839-1901) Messe-Dur In nativitate Domini op 126. The congregation was very attentive and sang the hymns with great devotion. 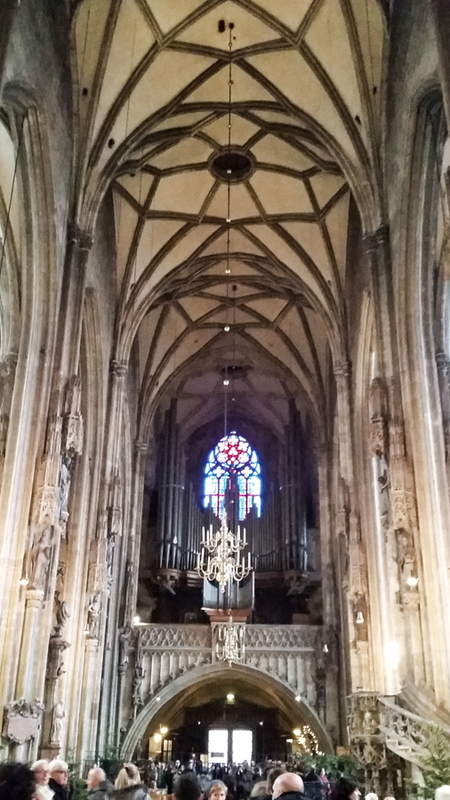 The high altar in the apse was designed in 1647 by Tobias Pock. 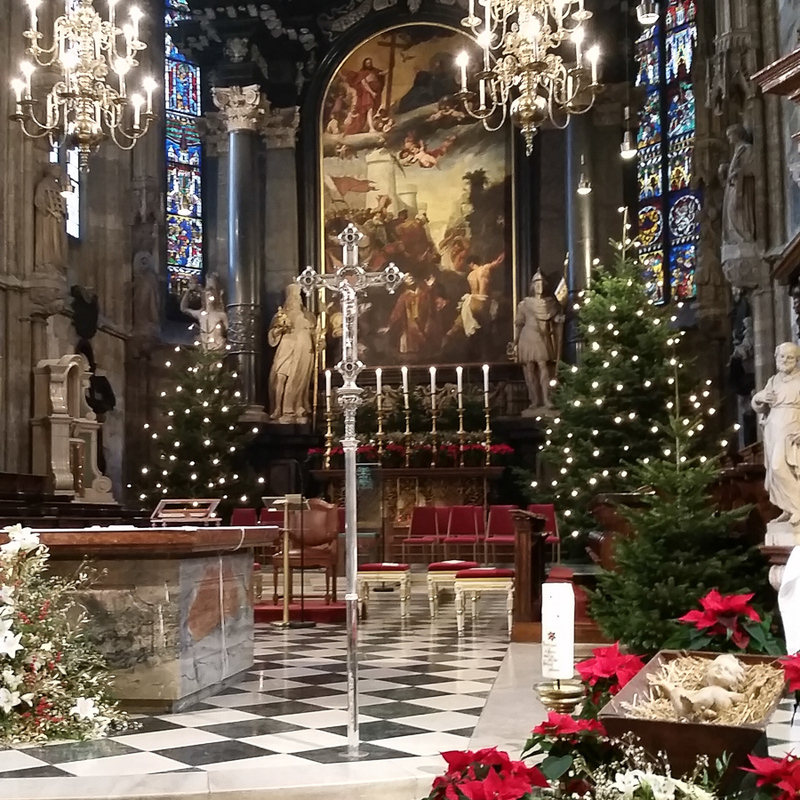 After Mass I spent some time exploring the interior. 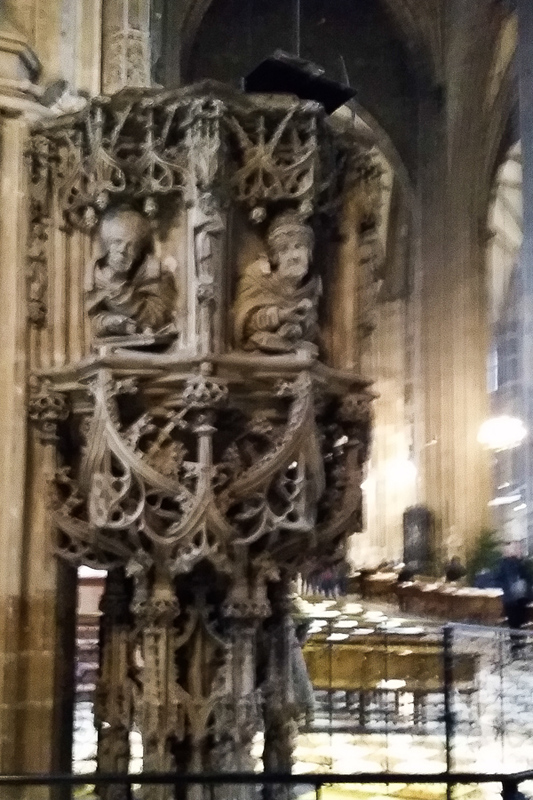 The Gothic pulpit is a masterpiece but we do not know the name of the sculptor; however he left his self portrait in the Fenstergucker. 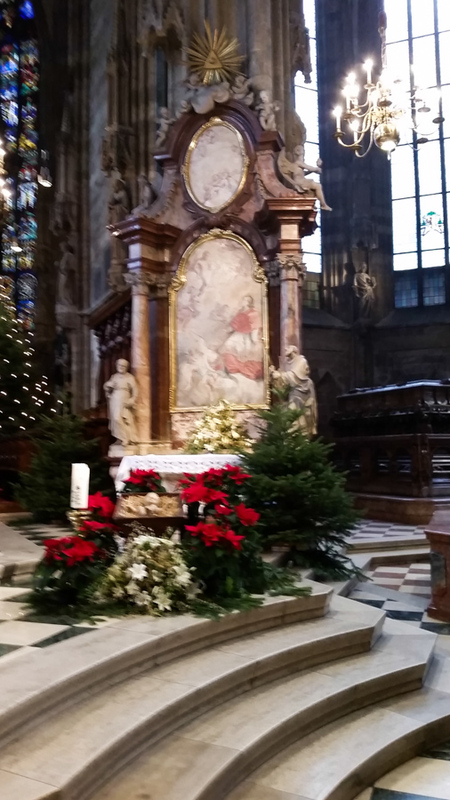 The infant Jesus at the Dom. 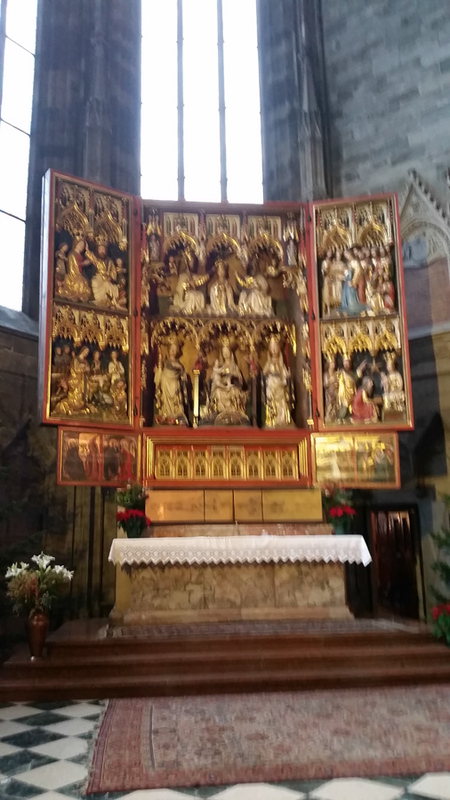 The Wirner Neustadt Altarpiece at the Dom. 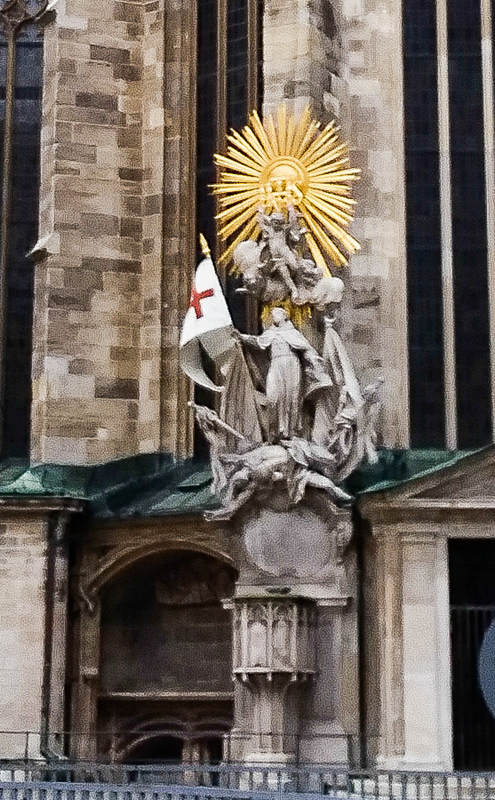 Marble tomb of Emperor Friedrich III. 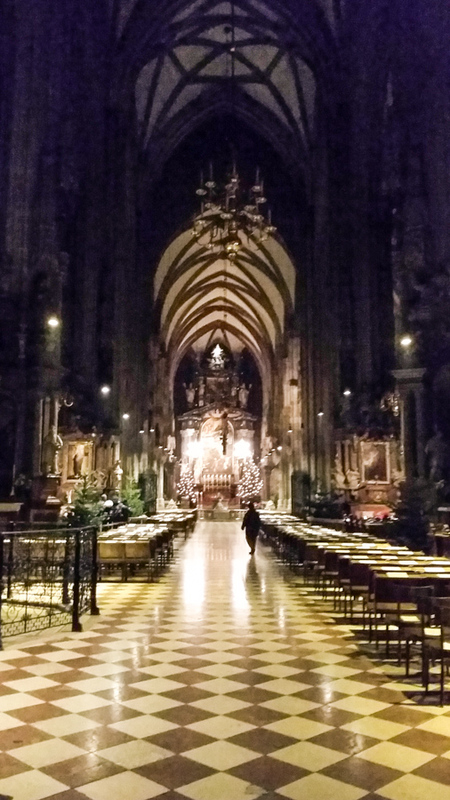 The nave looking to the altar at night. 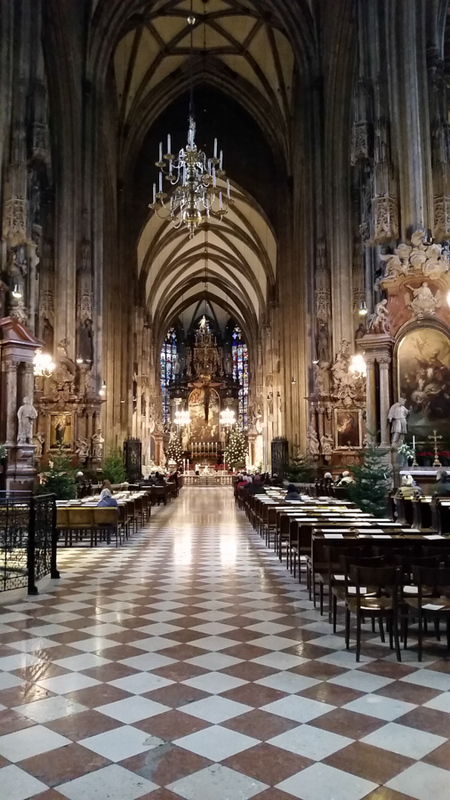 A living church at prayer in the Dom. 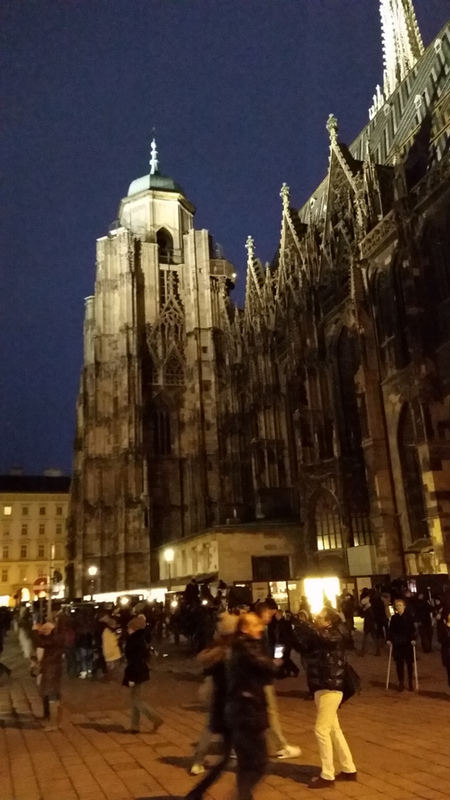 Small bell tower of Dom at night. 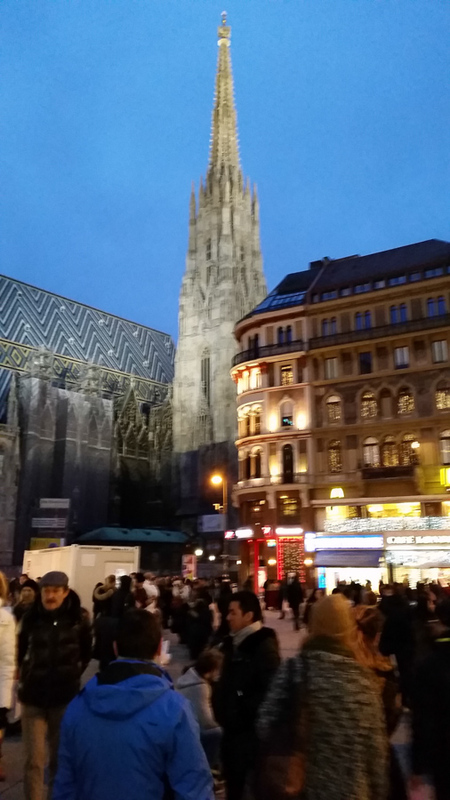 Stephansdom south tower. 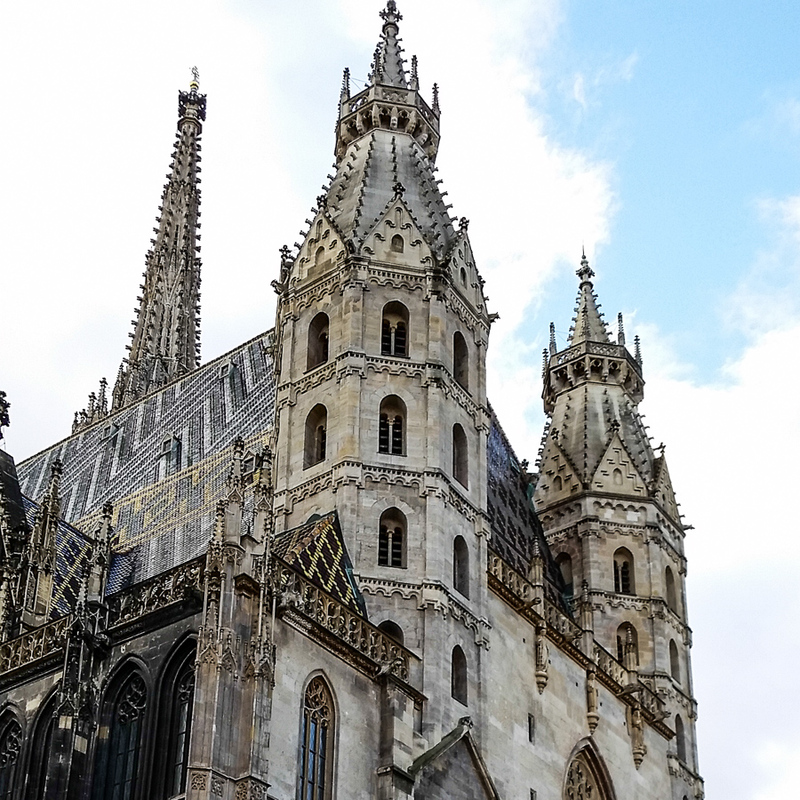 It is 136.7 meters high, a stunning example of Gothic architecture. 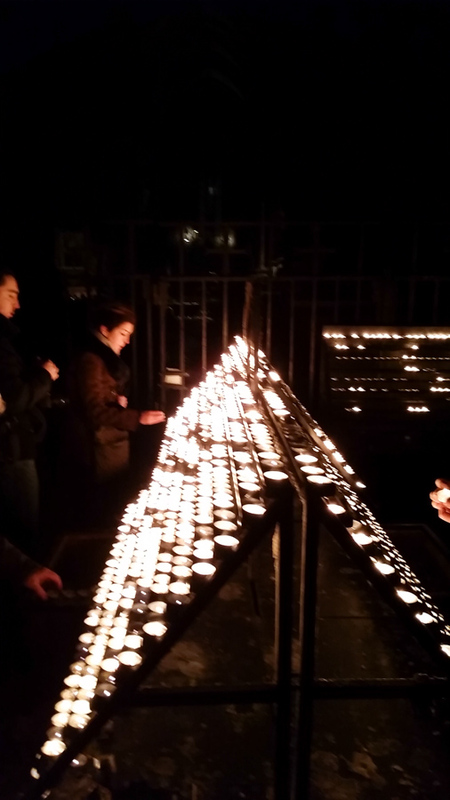 The evening lights around the cathedral. 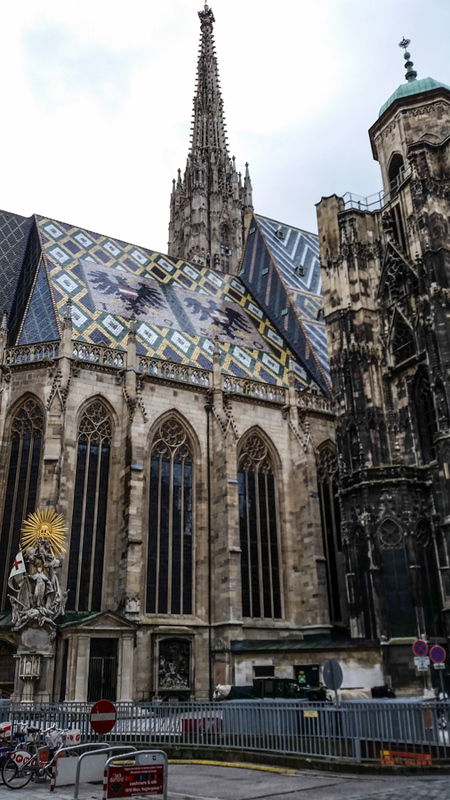 This entry was posted in Christianity, Europe and tagged Dom, Stephansdom, Vienna, Wien on January 6, 2016 by frjfkauffmann.